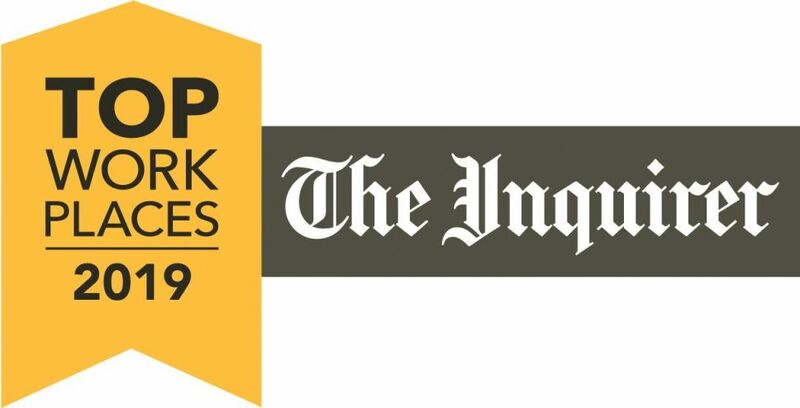 The Philadelphia Inquirer, Daily News and Philly.com is proud to announce the 2019 Top Workplaces. Winners will be recognized at an awards program on Thursday, April 18, and acknowledged in a special print section of The Inquirer on Sunday, April 21. The Philadelphia Inquirer and title sponsor The Chamber of Commerce for Greater Philadelphia, invite you to the 2019 Top Workplaces Awards featuring networking among 500+ of the region's business leaders, inspiring keynote presentation and awards program with a first-time reveal of the highest-ranking companies. When: Thursday, April 18, 5:30 p.m. - 9:00 p.m. Individual tickets will be on sale on April 4th. Event questions? Contact Angelica Irizarry, Events Coordinator at airizarry@philly.com or 215-854-5417. April 5th for premium packages. The Philadelphia Inquire has a no-refund policy. We will be happy to transfer your ticket to another guest with at least one week advance notice (April 11).